The Revolve MicroSilk® hot tub offers 8 spacious within its 239cm x 239cm frame. Just like all MicroSilk® models, the Revolve hot tub is complete with a multiple layered acrylic shell under which a high density insulated foam cradled by a strong stainless steel frame for extra protection & support. Extra features of the Revolve include water water pressure adjustment, ozone disinfection, twin filtration system, LED surround lights & The new Balboa Bluetooth Audio for the perfect mood enhancement. All Revolve hot tubs come with enhanced insulation in the cabinet plus base for even better efficiency & protection. It is from these assured foundations where the HTS MicroSilk® collection blossoms with the fantastic fusion of the tender care of MicroSilk® hydrotherapy plus the technical brilliance of the Balboa BP Spa system. MicroSilk® is the technology of millions of micro bubbles powered by a 2HP pump which penetrate the pores of the skin to deliver a soothing & healing spa experience. This feature is an addition to the hydrotherapy of the fore mentioned 37 dextrously designed jets which are powered by 2 x 2HP massage pump. The water is heated courtesy of Balboa's 3KW heater. 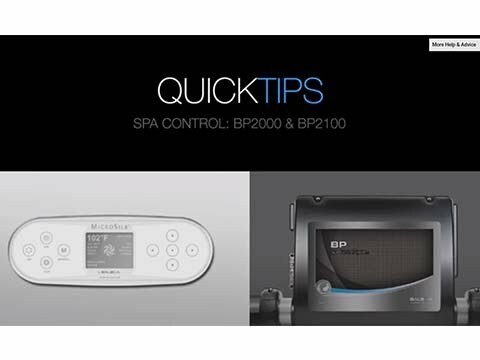 Balboa are regarded as designers & supplies of the best spa systems for better efficiency along with the spa control on the market. The new Balboa MicroSilk® BP system offers many advantages, such as unparalleled system reliability together with a user friendly interface. 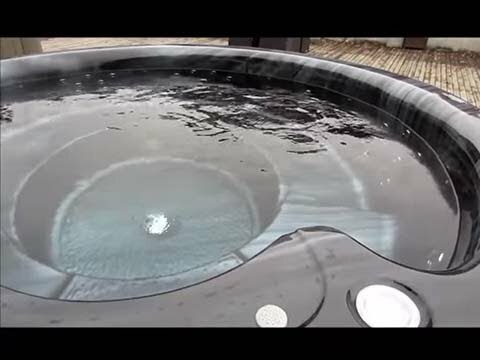 To complete the specification of this unique hot tub, the Revolve boasts smart WIFI technology enables a complete control of the hot tub via tablet or smart phone via the free Balboa app. Also, with each order of the Revolve MicroSilk® hot tub, complimentary steps & spa cover are included with the list price. Moreover, with 8 seats & unique circular design, the Revolve is a compromising alternative option for design whilst keeping all the attributes of the HTS MicroSilk® collection. Comfortable, deep & spacious, each seat & lounger on the Revolve hot tub is structured to create the complete spa experience. Contoured lines merge both body & surface together with the added depth that Revolve offers - the highest quality of relaxation is achieved. All Zen Spa Microsilk models are 100cm deep & seats measure between 50 and 55cm wide. The acrylic shell comes with a 5 year warranty. 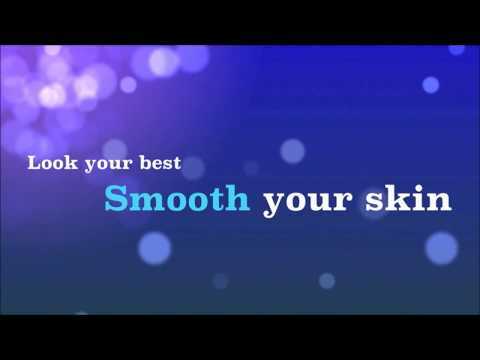 your body & skin making you look younger & feel better. being processed by the separate MicroSilk® pump within the Revolve hot tub. eliminating bacteria & promoting healing. refresh your skin & help reduce fine lines & wrinkles. LED ambient illumination is a feature on all of the models in the range of Zen Spas Microsilk hot tubs. Revolve Microsilk features surround lights, prism spot lights & base lights. Hot Tub Suppliers are British Gold Award Winners in both 2016 & 2017 of Hot Tub Health Benefits which only illustrates the quality of the jets plus pumps in this hot tub range. Bright & clear, the easy to use interface allows full control of the management of the Restore Microsilk. The most advanced Bluetooth system to date, the marine BBA2 system is concealed within the hot tub and can be connected via any smart or android device. Designed by Balboa Water Group, this patented design delivers a crisp & clear sound with the same efficiency & reliability one would expect from Balboa. The player can also be controlled via the control panel of the Revolve Microsilk hot tub with artist & song selection displayed on SpaTouch panel. Easy to connect & easy to use, the BBA2 is the only audio which could befit our range of Microsilk hot tubs. Our programmable filtration system allows full control of the filtration process with the twin filter system of the Revolve working in tandem to prevent the passage of any unwanted solid particles. Ensure you enjoy the maximum hydrotherapy by using the Revolve's water diverters to direct water to where you are sitting for increased power & performance. The Revolve Microsilk uses a closed cell high density foam to insulate the base of the shell. spa cover, the Revolve Microsilk has 360 degrees of protection.